Generating and growing your MLM leads online requires considerable effort and time, and it can be frustrating especially if you are quite passionate about achieving your MLM business goals. Sometimes, in a bid to accomplish goals in a shorter amount of time, people who move in this industry take some shortcuts that cause them to lose sight of leads as a valuable long-term investment in securing a successful business and instead see them as just numbers. While taking some shortcuts may yield results, if there is no consistent and long-term commitment in nurturing your leads, then your successful results will only be short-term. 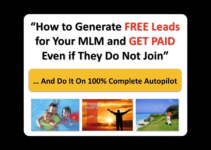 How should you generate and grow your MLM leads online that would also give you consistent and long-term success? Whatever your personal goals in life are, a legitimate MLM business can help you achieve them. Just like other business efforts that are worth doing, a legitimate MLM business requires the right attitude for you to get the results that you want. Making sure that an MLM business is profitable is not enough. You have to make sure that it is also stable, reputable, and gives great value to both its marketers and its customers. If you don’t believe in the products and services of your chosen MLM business, then how can you commit to contributing to its growth, your growth, and your down-line’s growth? If you believe in the products and services that you’re marketing, then you’ll be more inspired and passionate about them. Your success will rely on your leads, so you have to build a good foundation for your network to grow. 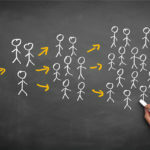 Should you generate your own leads, or should you take a shortcut and buy them from other companies? There are stark differences in the MLM leads online that are generated between these two techniques. 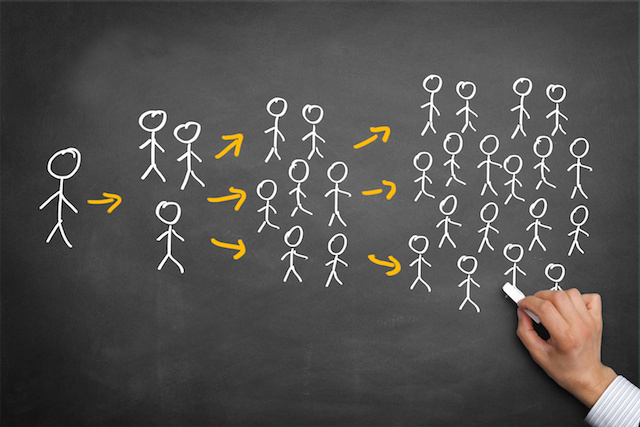 The first one entices people to come to you, and they make the choice to be part of your leads list – the leads come to you. The second technique gives you an opportunity to get in touch with people and present yourself and your business – you go to your leads. The first technique, where you let your MLM leads online come to you of their own choice, takes more effort on your part and is more time consuming. However, the advantage of this technique is that your leads are already interested in what you’re presenting. The second technique, where you contact your MLM leads online to present the details of your business, is a lot less time consuming compared to the first technique. You just buy your leads and they’re yours – that’s it. However, the tricky part is in establishing trust and eliciting favorable responses from these leads. When you contact these leads, mostly it will be through email. In your own personal experience, how will you respond to an email from a person that you never even heard of before? Some of these leads might get interested, but establishing trust will be more difficult. The difference between sponsoring and recruiting is that recruiting is just getting your MLM leads online to sign on the dotted line so to speak, while sponsoring is solving their problems with their own MLM efforts, and helping them grow and achieve their goals even after they’re part of your down-line. Being a sponsor is also part of building a good foundation, because once you’ve established trust between yourself and your down-lines, they can genuinely vouch for you, the business, and its products and services. This will also help them develop a better attitude in helping you grow your network, because you’re setting an example. • Establish your Presence Online! o Have a website for your MLM business with the information about the company, its products and services, and how to contact you. It doesn’t have to be expensive, nor does it have to have Flash animation or anything fancy. Just make sure that all your information is accurate, concise, compelling, and error-free. The impression that you want to present is informative, helpful, credible, and professional. Offer a free newsletter or a free tutorial series – anything that can be of value to your MLM leads online that are related to your business – so that people will sign up and you can grow your leads. o Be visible in social networking sites by having accounts for your business and updating them regularly with information about your company and its products and services. You can also post links of your blog posts. o Have a separate blog about your experiences in the MLM industry, your business, and its products and services. You’ll be able to promote your MLM business website this way, and you’ll also be able to interact with like-minded individuals who can be potential MLM leads online. o Aside from having a text blog, it’s also wise to make videos with content related to your business and your blog posts. Remember, there are millions of people online and they have different preferences. Not all of them like to read lengthy articles and just want bits and pieces of relevant information. You’ll want to reach out to as many people as you can and have them see your business website. This will also help boost your credibility as a marketer. The effort that you’ll need to exert in generating and growing your leads may seem daunting at first, and with good reason because it does take time and hard work. However, there is a system available that has helped people in the MLM industry to generate quality MLM leads online. ProvenProfitSystems.com has been a huge help to many people in generating their leads. If you’re interested in more helpful information, then Rob Fore’s FREE 5-Day Attraction Marketing Bootcamp is a gem. Yes, that’s right. It’s FREE.